Baron Michel " Mike " Donnet D.F.C. 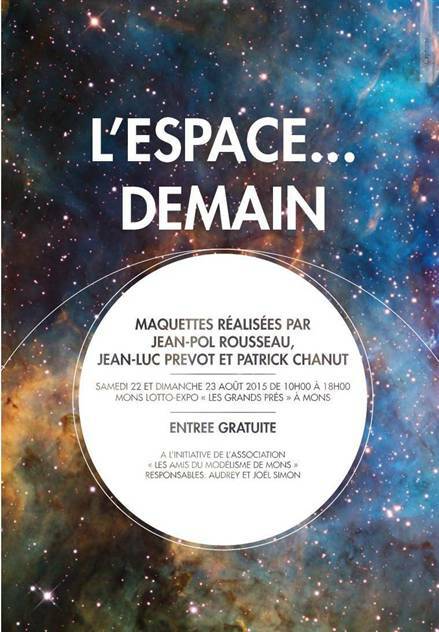 ( http://smartagora.com/fr/gallery/view/id/1731#0 ). Robert " Bobby " Laumans ( http://smartagora.com/fr/gallery/view/id/1731#1 ). André Kicq ( http://smartagora.com/fr/gallery/view/id/1731#2 ). Georges " Poupa " Jaspis D.F.C. ( http://smartagora.com/fr/gallery/view/id/1731#6 ). Michel de Hepcée ( http://smartagora.com/fr/gallery/view/id/1731#8 ). Henri Picard ( http://smartagora.com/fr/gallery/view/id/1732 ). Charles " Charley " de Hepcée ( http://smartagora.com/fr/gallery/view/id/1731#7 ). Albert " Trou " van den Hove d'Ertsenrijck ( http://smartagora.com/fr/gallery/view/id/1732#1 ). Bonne fin d'après - midi et à bientôt. 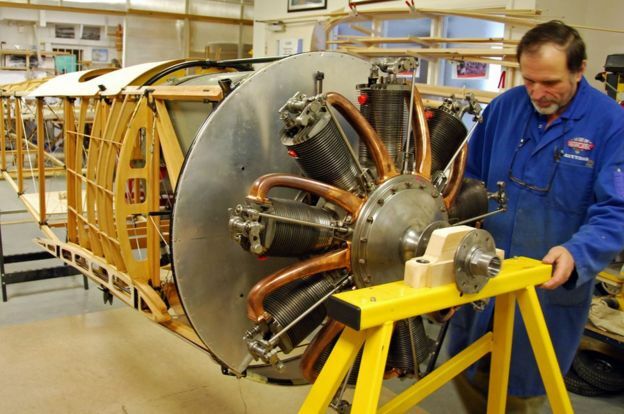 In a complex of hangars deep in the Sussex countryside, a team of engineers is restoring and rebuilding early 20th Century aircraft. 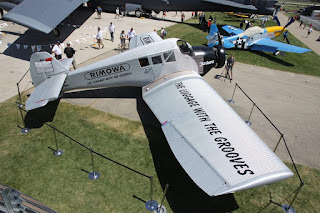 The brainchild of engineer Guy Black, Retrotec is actually modern biplane factory. 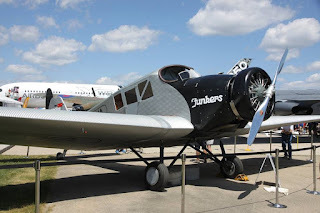 It specialises in rare examples of World War One planes including a Bristol F2B Fighter and DH9 bomber; as well as Hawker Nimrods, a Hawker Fury and a Hawker Hart from the 1930s era. The company has clients including museums and private customers. 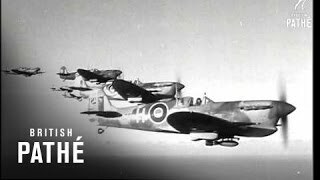 Video: "Spitfires In Flight (1943)"
Unused / unissued material - dates and locations unclear or unknown. Possibly Italy, 1943. Excellent air to air shots of Hawker Spitfire Mk Vc fighter-bombers flying in formation. They are armed with large tank busted guns and small bombs. Planes peel off for dive. Good C/Us of the aircraft in flight. 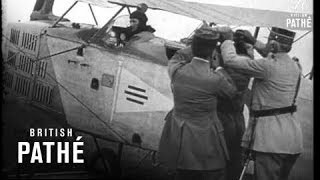 Video: "King & Queen Of Belgium (1914-1918)"
King Albert I and Queen Elisabeth of Belgium fly in small aeroplanes. Queen climbing up into plane, she is bundled up in heavy coat & scarves so that she is unrecognisable. The pilot starts to get in. Shot of King Albert standing next to another aeroplane with French Army General Pau (?) & another officer. King wears flyer suit. The other men help him fasten goggles. King climbs up into plane. Aeroplane taxiing away from camera. American cataloguer's note: according to listing the King & Queen are visiting at the front during World War One. The CYBERSPACE makes us CONFIDENT or OVERCONFIDENT ? 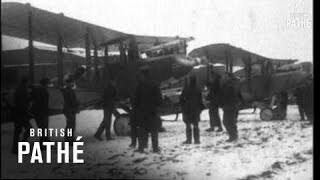 Video: "London - Belgium Air Race Using Rfc Bombers (1910-1919)"
London - Belgium air Race using Royal Flying Corps bombers. Shots of soldiers lifting bags of mail. MS 4 of the guys pose together. CU mailbag marked 'Brussels via Ghent'. CUs 2 airmen w/ stack of bags. Group pose holding small sign: 'Aircraft Transport and Travel; Ltd.; Belgian Service' They carry the bags past long building. 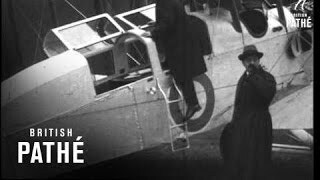 Video: "London - Belgium Air Mail And Transport Plane (1920-1929)"
London - Belgium air mail and transport plane. 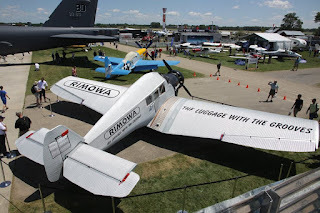 Aviation; commercial. Early passenger aeroplanes and mail plane; 1920s? England/Belgium air mail plane: Loading mail bags onto aeroplane; Shot of a line of men holding bags standing in front of a bi-plane. The first man in line hands his bag to another man who packs it in the aeroplane; Ghent printed on bags. CU 2 men on ground by aeroplane; pilot in cockpit; one man hands up papers; pilot signs document. Plane starts to move. Shot from behind; aeroplane taxis away. A few men & women seeing off a friend who is boarding aeroplane; she climbs ladder to enter plane. Man helps to raise windows by passenger seat (seat is directly behind pilot; not inside body of aeroplane); the woman passenger wears cap pulled down; goggles; etc. Next; another plane (Airco Deluxe ?). 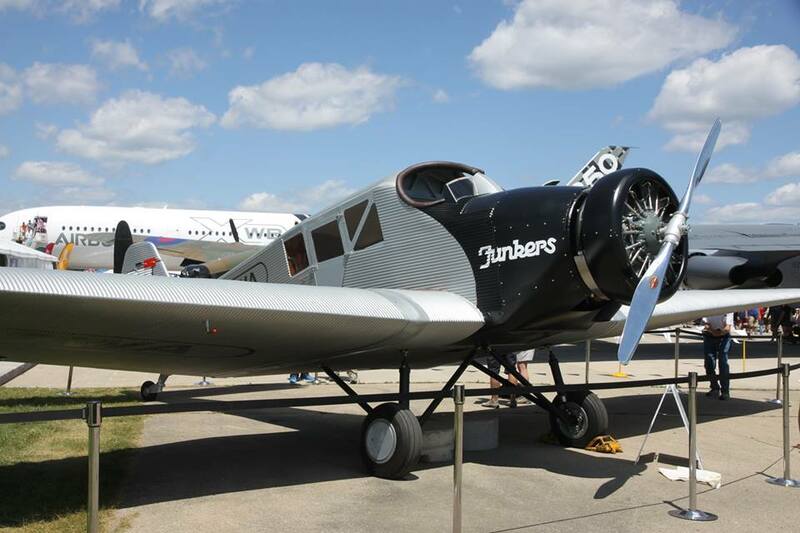 Two passengers climb small ladder to enter aeroplane. They sit at table; smoking; talking. One picks up deck of cards. 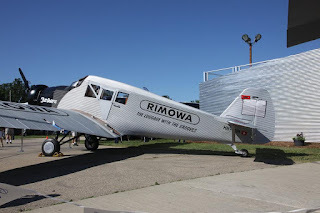 Bertrand Brown a publié:" Le fabricant de bagages en aluminium et polycarbonate Rimowa se lance dans la construction de plusieurs Rimowa F13, basés sur le Junkers F13, le premier avion de transport civil entièrement métallique, qui fit son premier vol en 1919. 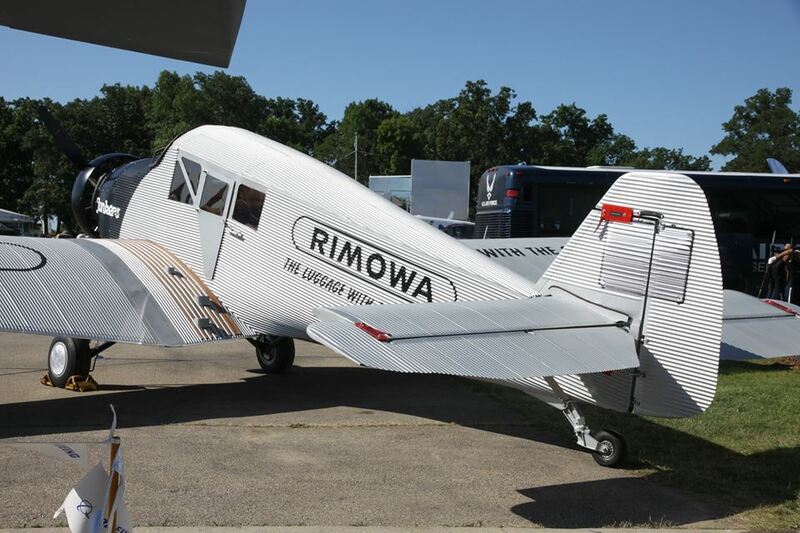 Le premier vol et"
Le fabricant de bagages en aluminium et polycarbonate Rimowa se lance dans la construction de plusieurs Rimowa F13, basés sur le Junkers F13, le premier avion de transport civil entièrement métallique, qui fit son premier vol en 1919. Le premier vol et la certification sont prévus pour 2016, les pré-commandes étant déjà ouvertes. Quelques modifications de sécurité distingueront les Rimowa F13 des Junkers F13 originaux, portant notamment sur le moteur Pratt & Whitney 985 de 450 cv, le train d'atterrissage équipé de freins et la queue redessinée de l'appareil. Plus d'informations sur le site Rimowa F13. Nice plane…..they are going to build 10 of these!!! Check out the automatic photo album with 5 photo(s) from this topic. We hope that you enjoy these photographs, but please respect the photographers copywrite and don't re-publish or post these photographs without first asking the photographers permission. 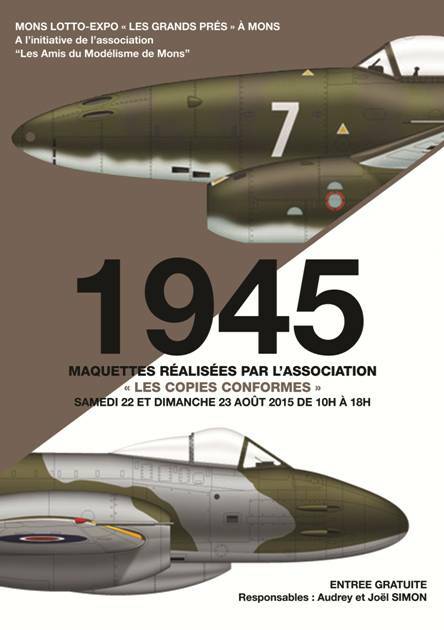 Video: "WW2: Gloster Meteor (1944)"
Video: "Belgium's National Day (1941)"
Video: "Koolhoven factory 1936-1940 Part 1"
Video: "Koolhoven factory 1936-1940 Part 2"
Video: "Bucker Jungmeister and Jungmann"
Video: "Bucker Bü 181 Bestmann"
Video: "Bucker Jungmeister Accelerated spins"